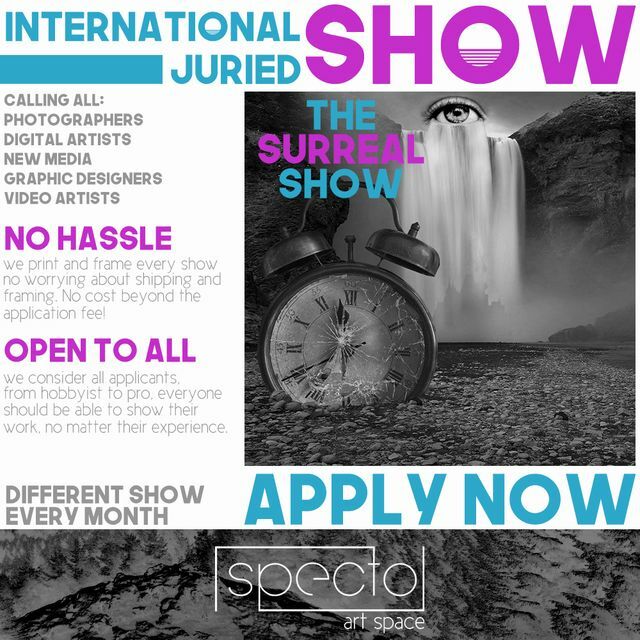 Surrealistic photography and digital art has been steadily rising in popularity in the past five years, Specto hopes to mount a show dedicated to showing these works which push the boundaries of imagination. Show us your best fantastical scenes and creations, portraiture, landscapes, anything as long as it involves some sort of surrealistic elements. Online submission of digital photographs via the website. You are allowed to submit up to 10 works. Image requirements: JPEG format; 1024 Pixels on the longest side; 72 DPI; 3MB or less. You must have a print file available that is large enough to be printed in any of the above dimensions at 300DPI.